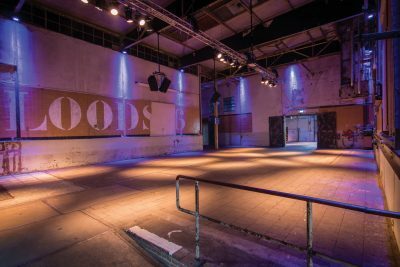 At ‘Loods 7’, natural light streams through the tall windows that truly make you feel as though you are in a factory. 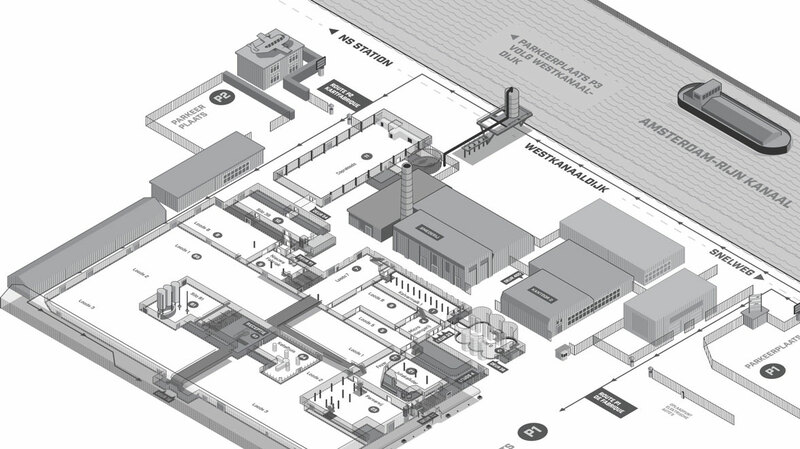 The other spaces also clearly used to be involved in the production of calf’s milk. 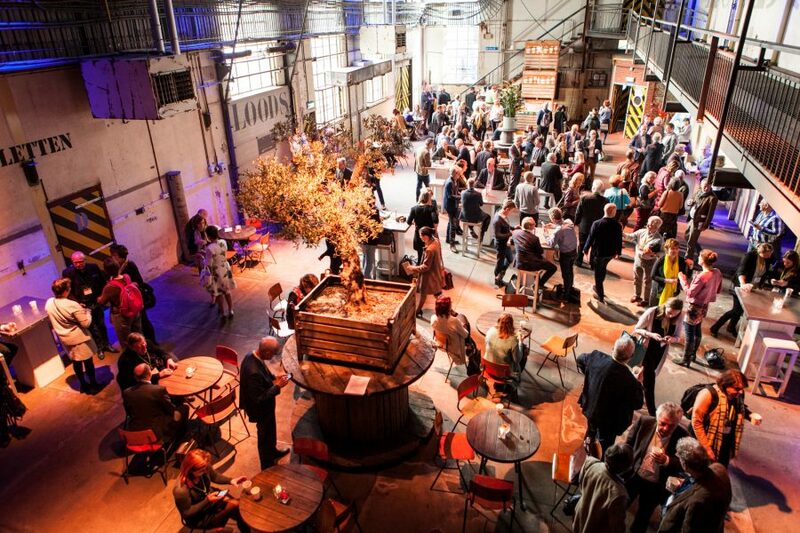 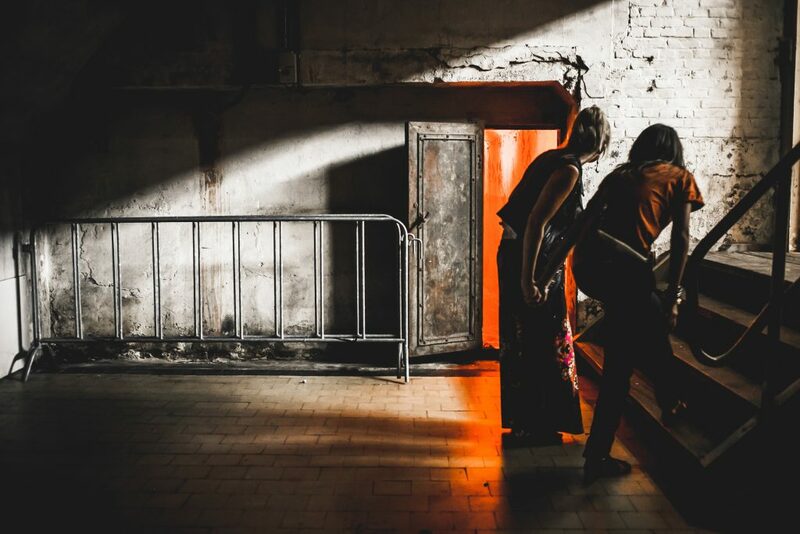 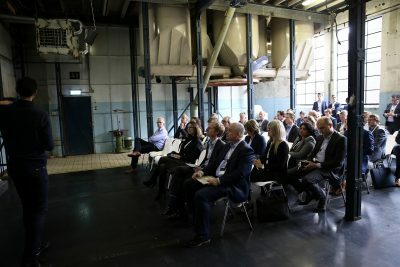 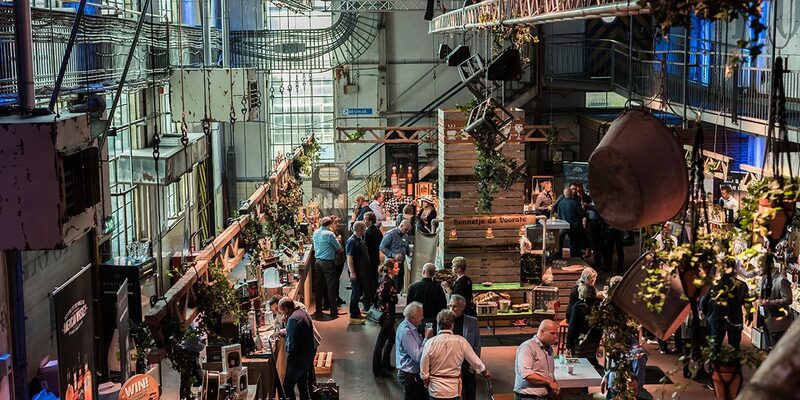 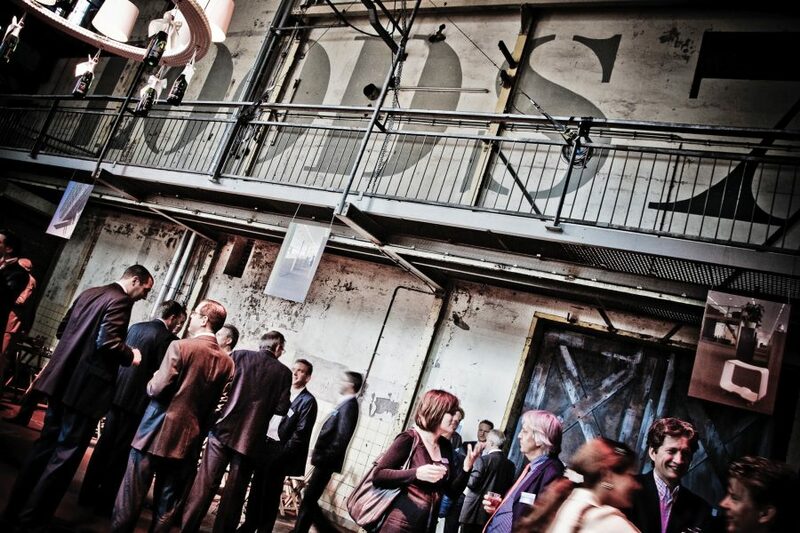 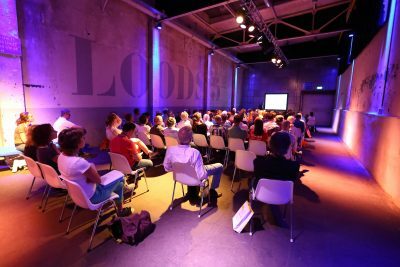 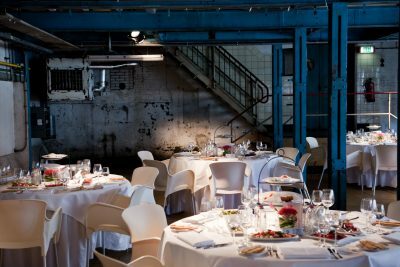 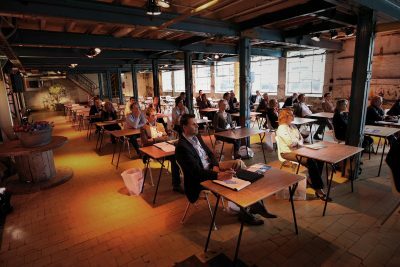 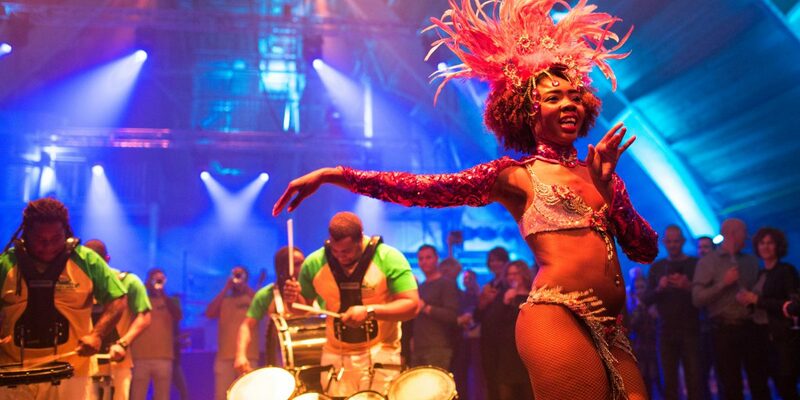 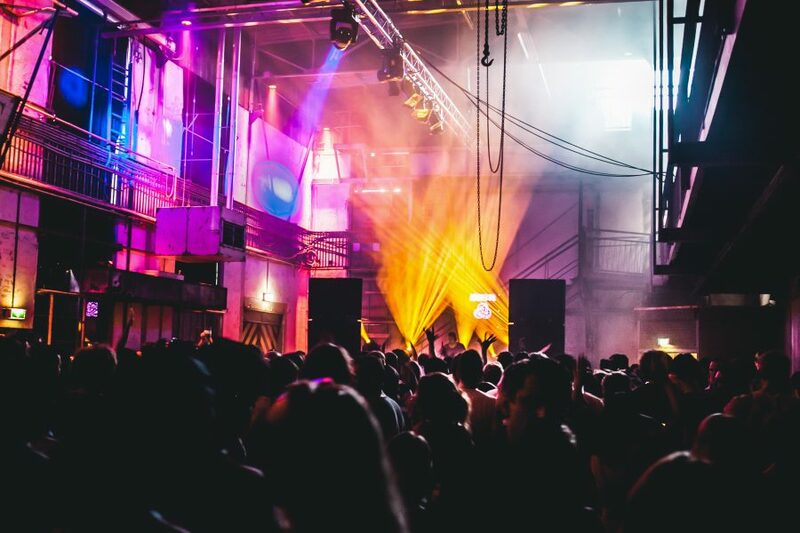 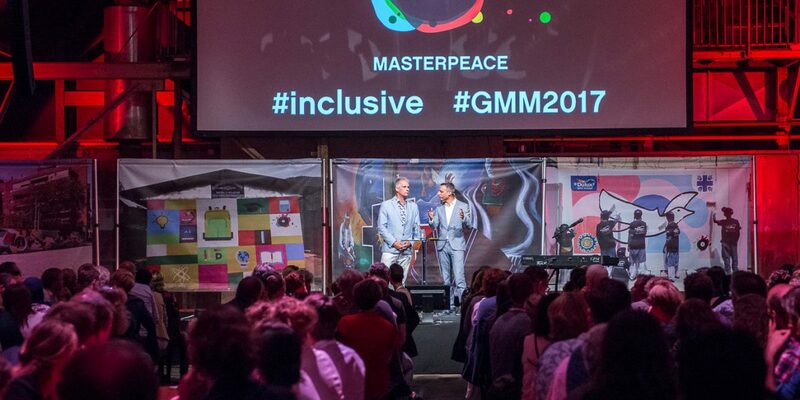 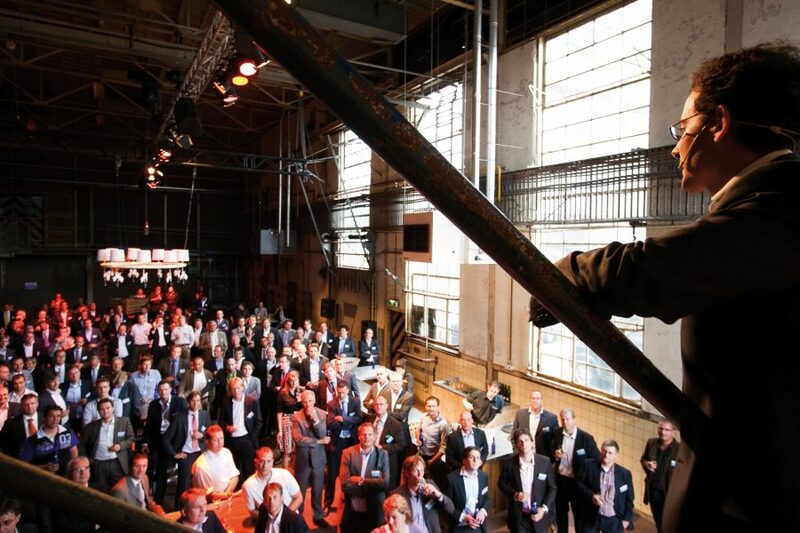 With its original silos, remains of machinery, and stylish industrial vintage furniture, the ‘Kalvermelkfabriek’ makes for a striking location for your corporate festival, fair, or conference. 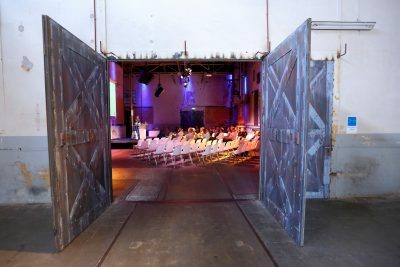 The ‘Kalvermelkfabriek’ consists of 9 multi-purpose spaces: The ‘Micromengerij’, ‘Loods 5’, ‘Loods 6’, ‘Loods 7’, ‘Kalvermelk 1’, ‘Kalvermelk 2a – 2b- 2c, and ‘Kalvermelk 3′. 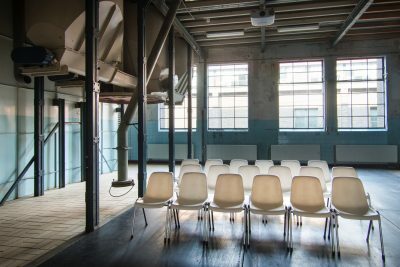 Together, these characteristic rooms can house anywhere from 40 to 1,000 guests. 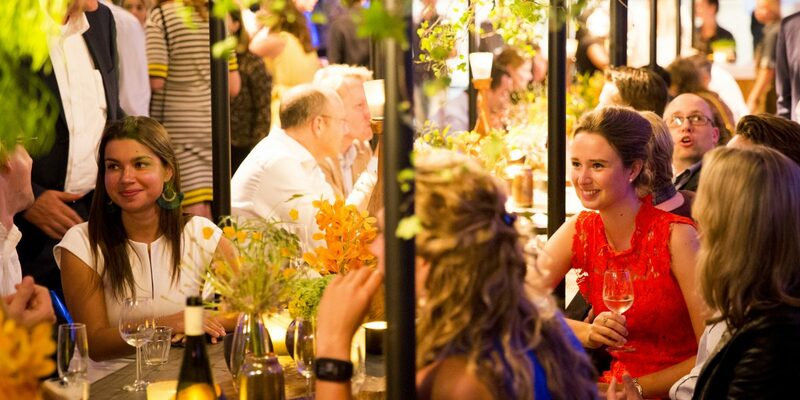 Our clients’ favourite aspect of this venue is the possibility to combine the varous rooms and sub rooms in an endless number of ways.